We have hundreds of healthy, happy pet options for your family to take home and love. In 2015 alone, 5,524 animals from our shelter went to forever homes. When you adopt a pet, you save a life. When you buy a pet, you not only deny a homeless animal a home, you also support an industry that can short-change the welfare of animals. One example are puppy mills. Most puppy mills that sell to pet stores are in business to make profits, so they breed puppies and kittens as often as they can. These animals can be in bad health due to genetic defects from inbreeding and have poor socialization skills because of lack of human companionship. Pets purchased at a store also come with a hefty price tag. For example, a store-bought puppy with a pedigree can cost between $1,000 and $3,000. At Young-Williams Animal Center, you can adopt and save the lives of 26 adult pets for $2,000. Even better, you could sponsor the homeless pets’ adoption fees which would encourage a faster adoption. We have hundreds of healthy, happy pet options for your family to take home and love. The adoption specialists at Young-Williams Animal Center get to know and understand the temperament of each pet. Directors evaluate each animal’s health and behavior for our adoption program. They can tell you what to expect from an adopted pet. However, stores often don’t provide support if you have questions or problems with your new pet. When you adopt, especially from a rescue group, you know what you are getting because the group has a history on the animal. You or your child instantly will learn what it’s like to make a difference in the animal welfare community by choosing to adopt. Young-Williams Animal Center’s adoption fees range from $50 to $150, depending on the age of the animal. Some of our adoptable animals have been “sponsored” through our Furry Friends program, which means their adoption fees have been pre-paid. Determining where to get your new furry family member is a big decision and with the right information, it can be made rather easily. All of our animals at Young-Williams Animal Center are in need of a second chance. They have been lost, surrendered or abandoned. They deserve a permanent home. You give them new life by adopting. And you can teach your child the importance of adopting rather than purchasing from a breeder or store. We have more than just dogs and cats, too. Other pets, such as rabbits, ferrets, hamsters, guinea pigs and birds, are available for various adoption fees. 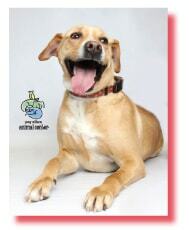 Please call our main center at 865-215-6599 for more information about adoptable pets, or visit young-williams.org.